These are PVC black mains for your Rust Proof, Vinyl Ceiling Grid. 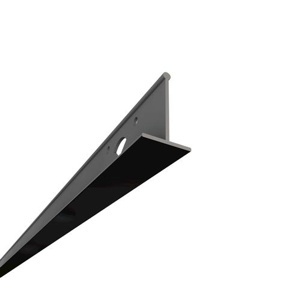 Designed for interior drop ceiling and meet code for non-seismic required areas. Mains should be placed 2 feet apart from each other with 2' cross tees spaced every 2ft (for 2x2 tile spaces) or 4ft (for 2x4 tile spaces). Mains require hanger support every 2ft. Works with our 2' black cross tees and 8' black wall brackets.